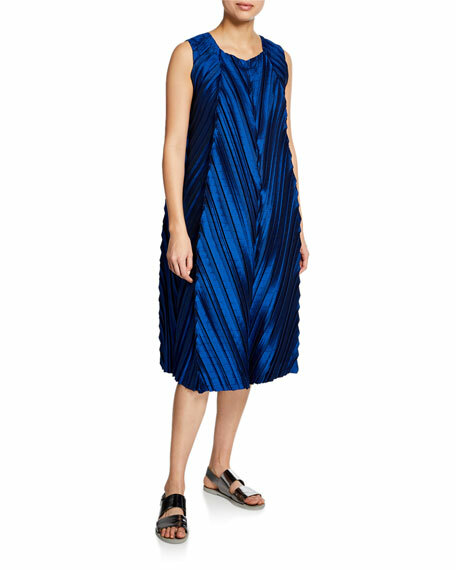 Issey Miyake "Petiole" dress in pleated satin. 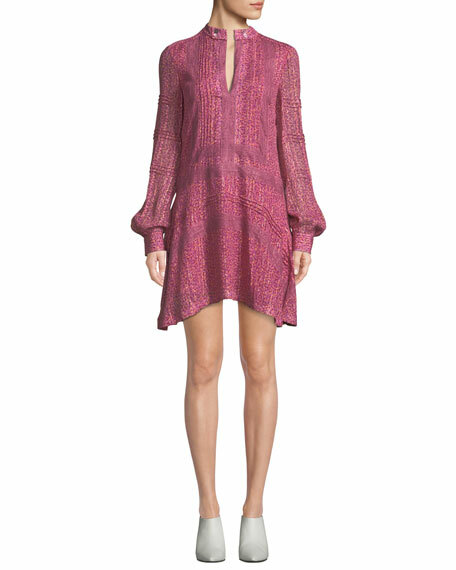 Alexis "Lydia" printed satin cocktail dress. Self-tie V neckline. Long sleeves; button cuffs. Dropped waist. Shirred skirt. Mini length. Slipover style. Polyester. Imported. 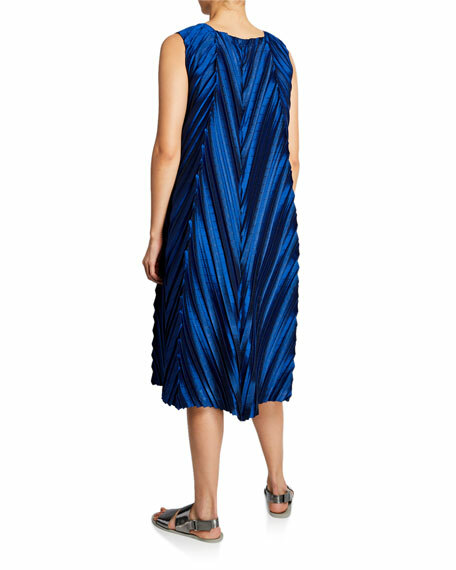 Helmut Lang mini dress. Square neckline and back. Double shoulder straps. Piped lip through center back. Shift silhouette. Straight hem. Side zip at left. Silk lining. Polyester/rayon/spandex. Dry clean. Imported of Italian material.